It’s pretty much any big brother’s job to protect their little sis, right? And the same goes for Trace and Miley Cyrus! 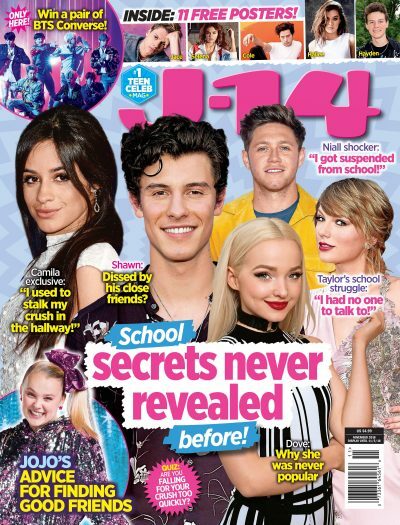 The bassist, who’s 4 years older than the Hannah Montana star, just revealed to Us Weekly that he didn’t want to like her husband, Liam Hemsworth, at first because he was so worried he would hurt her. But ultimately, the Australian hunk won him over. Awww, how sweet is that? As fans know, Miley and Liam fell in love on set of the Nicholas Sparks’ movie in 2009, and they tied the knot almost 10 years later. The couple had a low-key wedding in Nashville on December 23, 2019, and boy, was it magical. As for Trace, he’s gearing up to get married himself! He announced on December 7, 2019, that he had asked his girlfriend, Taylor Lauren Sanders, to marry him. “It’s weird because Miley is now married, I’m engaged and my little brother [Braison] is now engaged too. It’s weird, we’re all getting to that next stage of our lives. We’re growing up, it’s weird,” the Metro Station member continued to Us Weekly. And Trace’s fiancée, who’s a 25-year-old singer and Instagram model, is a huge fan of Miley and Liam’s relationship too. We honestly love how close they all are.